There are sounds we shouldn’t be hearing; feelings we shouldn’t be feeling. It’s still July, supposedly deep winter here in Tasmania. Yet there’s the unmistakable pee paw call of a spotted pardalote; the mating call, the one I associate with spring. That’s when large numbers of these little spotted birds migrate back from warmer parts to join the hardy individuals who have stayed here. And I’m sure I’ve been hearing male blackbirds calling too, mostly tentative churrs and chips, but occasionally that elegantly fluid warble that surely must impress any female within earshot. There’s been sunshine too, warm and welcome on some of our still, cloudless winter days. At times like this the garden calls, begging us to delve into its neglected dirt. Our excuses – it’s been raining; it’s too cold; we’ve been away; it’s such a mess – melt into the warming air. I start by ripping the rankest weeds from the raised veggie bed, then scrape a hoe through the tiddlers, and mattock the most resistant. It’s hard work, and something I can’t achieve without bending my back. But the feel and the smell of fresh earth, and the winter sun on my bent back, reward my labours. When the bed is finally cleared of weeds I barrow in some compost. It’s distinctly second-rate: I’ve never mastered the dark art of composting. But a bag of sheep manure covers a multitude of sins. And when that mix has settled in and I’m ready to plant, a good dose of worm “juice” will top it all off. A year ago we were also neglecting our garden, ‘though with the reasonable excuse that we were travelling in Europe at the time. Yet even there the urge to touch the earth was strong. Two particular gardens helped answer that call, though in different ways. 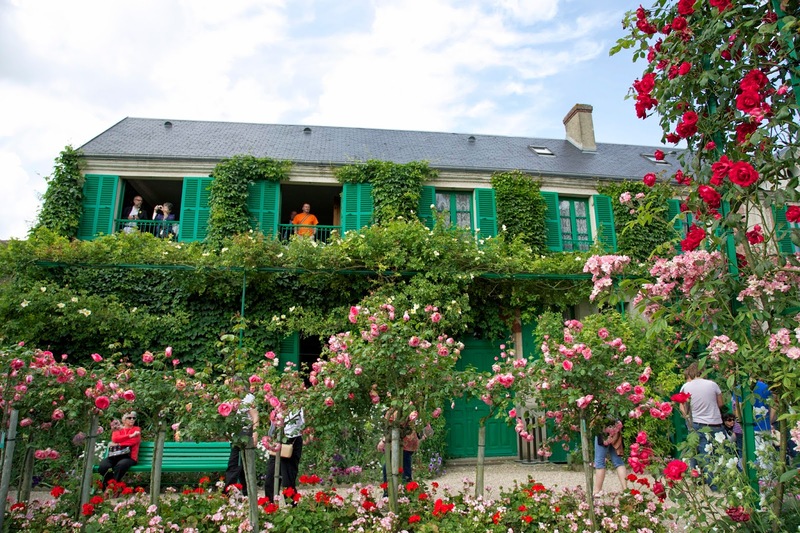 Claude Monet believed his garden at Giverny was his most beautiful masterpiece. Given his superb artistic output, that is debatable. Yet unquestionably the garden is magnificent, even 88 years after his departure. We joined the throngs who had travelled the hour or so from Paris to see the garden; to see if we could gain a sense of how it inspired some of his work. Our own inspiration was limited by the need to shuffle and negotiate our way around so many other visitors. Even so we managed to find brief moments, small spaces, nooks in which time stood still, allowing the dazzling colours, shapes, shadows and scents of the garden to enrapture us. We half-expected to see Claude himself shuffle around the corner, painter’s palette in hand, muttering about his urgent need to capture another “free and emotional interpretation of Nature” (to use his words). 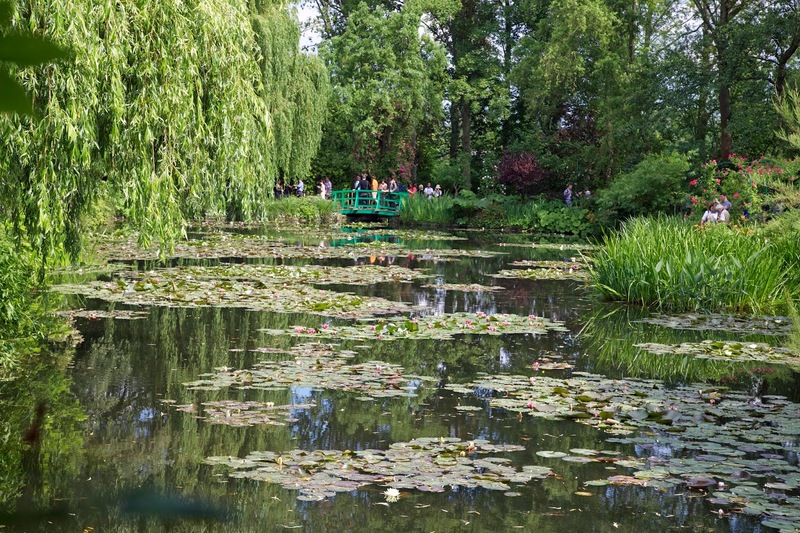 That may have been Monet’s definition of impressionist paintings, but it works well for Giverny too. 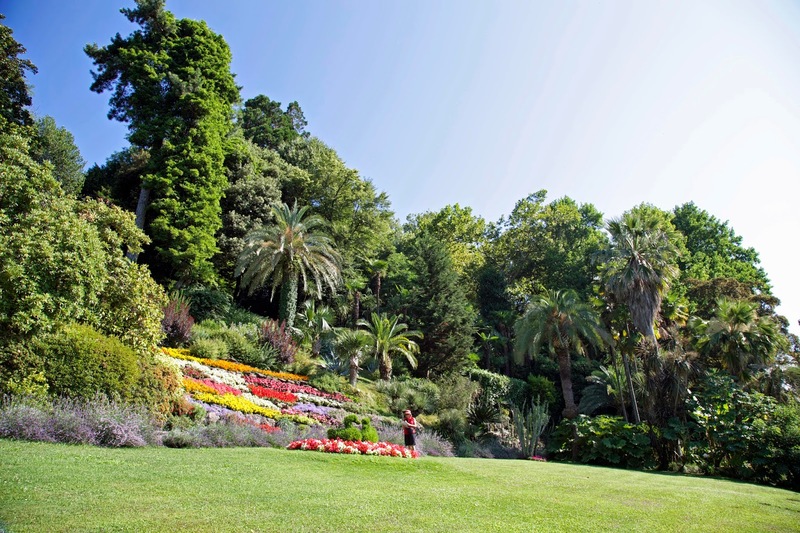 And for at least parts of the stunning garden we found in the grounds of Villa Carlotta in northern Italy. The opulent late 17th century villa was built for the then marquis of Milan. Its 17 acre grounds contain an amazing garden, half the area of Hobart’s generous Royal Botanical Gardens, and every bit as complex. 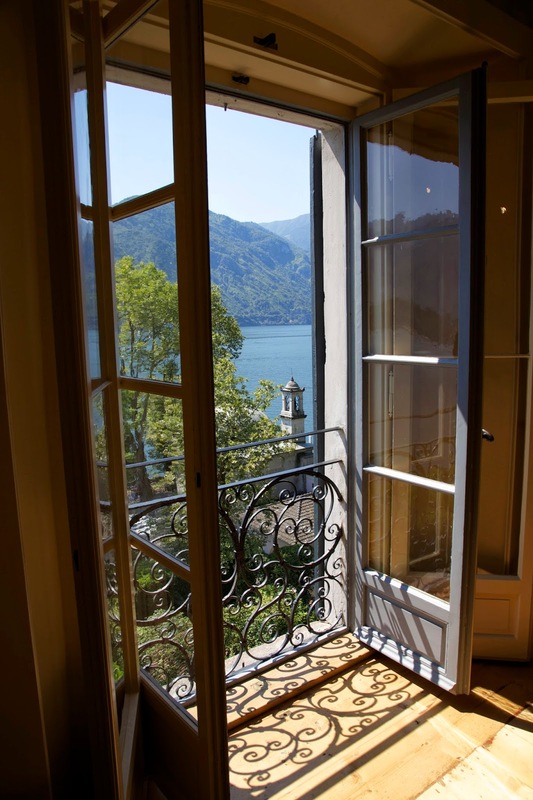 Its lower slopes, closer to the imposing villa, feature formal gardens and paths, with fountains and annual flower beds. But it was in the “back yard” that we began rejoicing in the freer impressionist style: gardeners as artists. 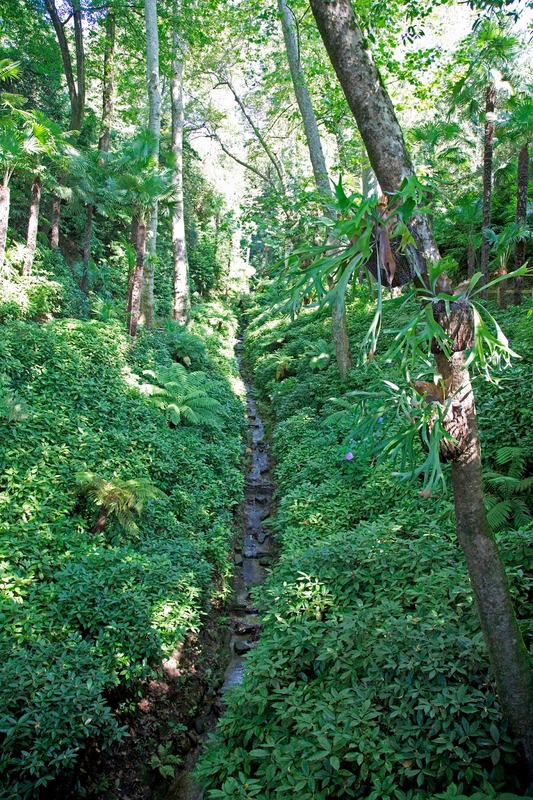 Up the steep slope from the villa they had created a marvellously incongruous blend of semi-tropical, woodland and flowering plants: bamboos here, palms there, ivy and rhododendrons everywhere. Here it was shades and colours and textures than mattered most, not botanical provenance. In the hot and humid conditions we gravitated towards the shady paths. And there, as though to turn our minds towards home near the end of our trip, we found some Australian man fern (Dicksonia antarctica) in a marvellously cool artificial gully. Surrounded by ivy, hydrangeas and busy lizzie, and over-towered by exotic trees festooned with elk-horn, “our” ferns were thriving, adding a beautiful southern hemisphere touch to a gardener’s interpretation of green absolutely worthy of Monet. Ah, snow and imagination! Such powerful and persistent allies, even in the face of our actual experience of snow’s discomforts and dangers. We are traversing a little-walked route at the back of the Cradle Plateau. We are defying a “woolly” weather forecast, which has now taken a turn for the worse. Just after our point-of-no-return we enter a snowy, whooshing white-out. The snow presents us with two problems. One is way finding, as our route has become disguised and there are no snow poles. We walk on into the white anyway: a little apprehensive, but keen to try ourselves out. Snow’s second problem soon arises, and that is movement per se. Post-holing isn’t something most walkers in Tasmania get to practise. We usually only have brief skirmishes with snow, and its odd amnesiac properties wipe former difficulties from our memory. Right now we have to re-learn what an apt term post-holing is for what happens when you to try to cross fresh, soft snow. We’ve started with visions of softly traversing the snow’s surface a la Legolas the elf. This is punctured as quickly as the snow, as first one leg then the other sinks thigh-deep into the snow. Only with a shuddering and inelegant heave do we extricate a back leg, scissor it up and across our front leg, and then plunge into a new hole. We do this over and over again, wondering why we thought walking in snow would be fun. Even breathing is a challenge, as snow lashes our faces and the cold wind swipes the air from us. After a relatively short amount of this energy-sapping exercise we are exhausted, even a little demoralised. A little voice tells me it’d be wise to lurk behind the lead walker and use his steps as mine. But it’s a variety of slipstreaming that is usually noticed by the leader. It will soon end with one or other of them “allowing” me my turn; if my pride doesn’t make me take it first. 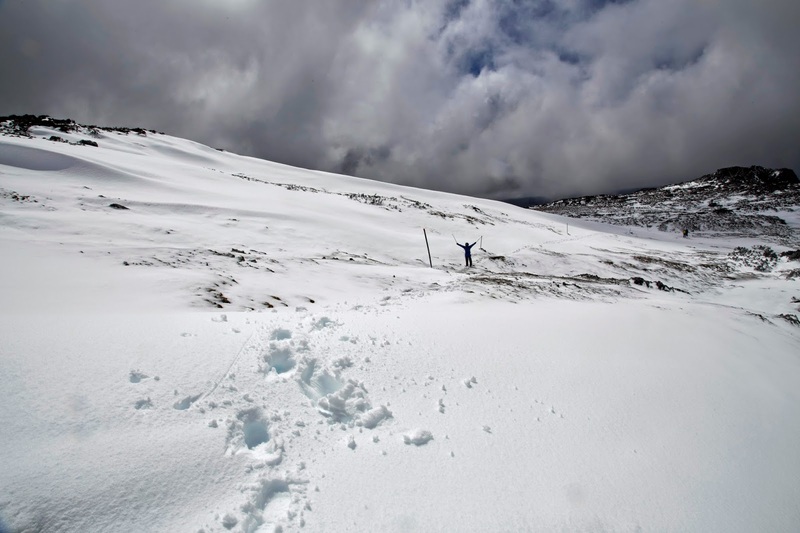 That day on the Cradle Plateau was only a brief taste of hard snow walking. We soon found the better marked Horse Track and dropped down out of the worst of the snow, and back to a warm hut. And now, despite all that I have just written about the difficulties of those few hours, I look back on that day with overwhelming fondness. In asking myself why, I have begun to think that there’s something deeper at work than just the aesthetics, the prettiness, of snow. As I write this I am looking out on a snowy kunanyi/Mt Wellington. It is cold here at 200m, but up there it is way below zero, and winds of 40kmh are blowing from the south-west. The snow up there is deadly as well as beautiful. And perhaps those two sides of snow have always been deeply embedded within us. There is a fierce beauty to snow. It can kill, but it can uplift: like death, like love. Was that what Danish writer Peter Hoeg was getting at in Miss Smilla’s Feeling For Snow when he wrote these words? Maybe falling in love, the piercing knowledge that we ourselves will someday die, and the love of snow are in reality not some sudden events; maybe they were always present. 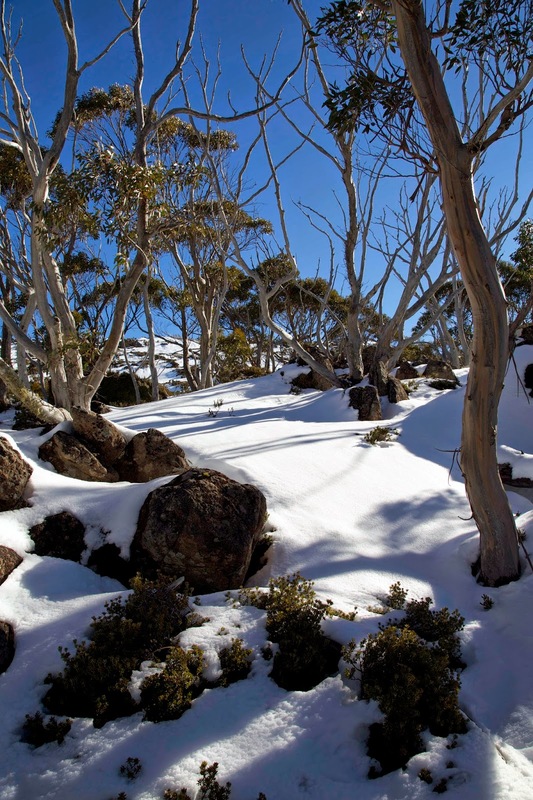 I was recently interviewed on radio – in the line of duty – about bushwalking in winter. The interview covered things like appropriate clothing and suitable tracks for Tasmania’s cool season. But the S-word did come up, as it inevitably will in winter. Snow is a word freighted with thrills and chills. Yet while we join the world in enjoying the aesthetic lift a covering of snow gives a landscape, it seems Australians are oddly naïve about the real thing. 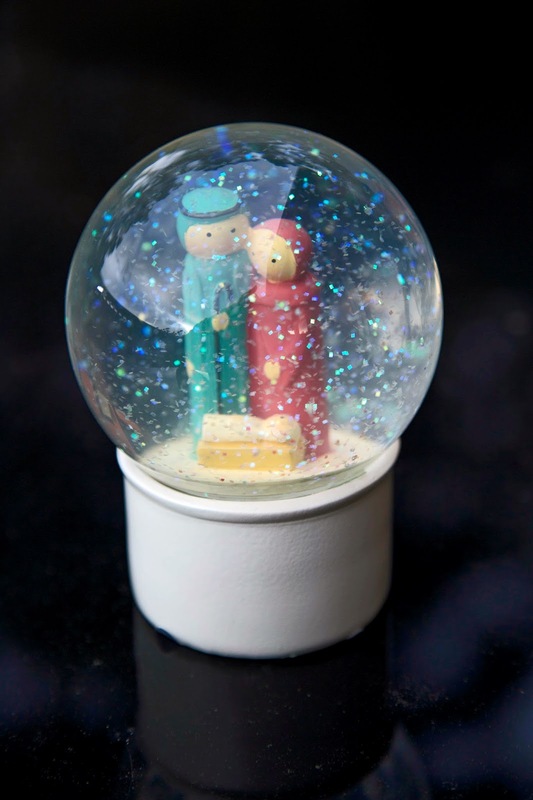 Think of our plethora of kitsch snow-domes, with snowy scenes of places as unlikely as Uluru and the Great Barrier Reef! Having snow, we Tasmanians can readily step outside the dome and get acquainted with the reality. Lynne and I spent our first Tasmanian winter in Fern Tree, the highest suburb in Hobart. 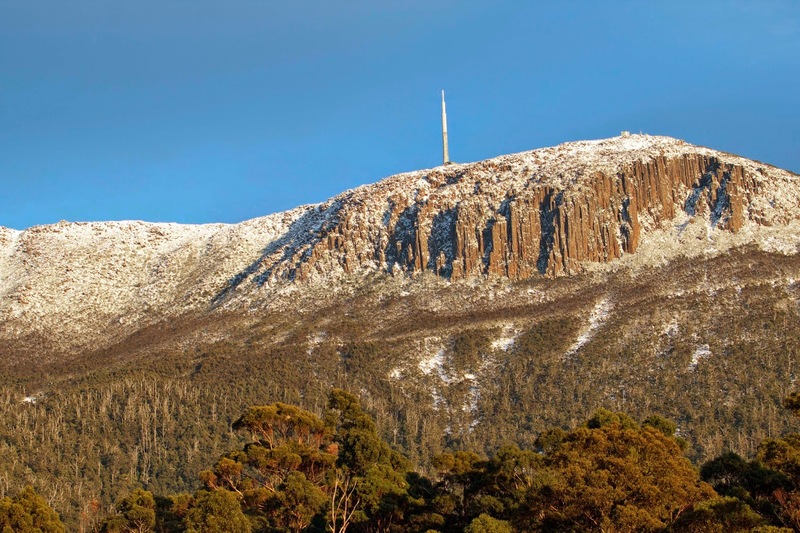 It nestles into the slopes of kunanyi/Mt Wellington at an altitude of over 400m. 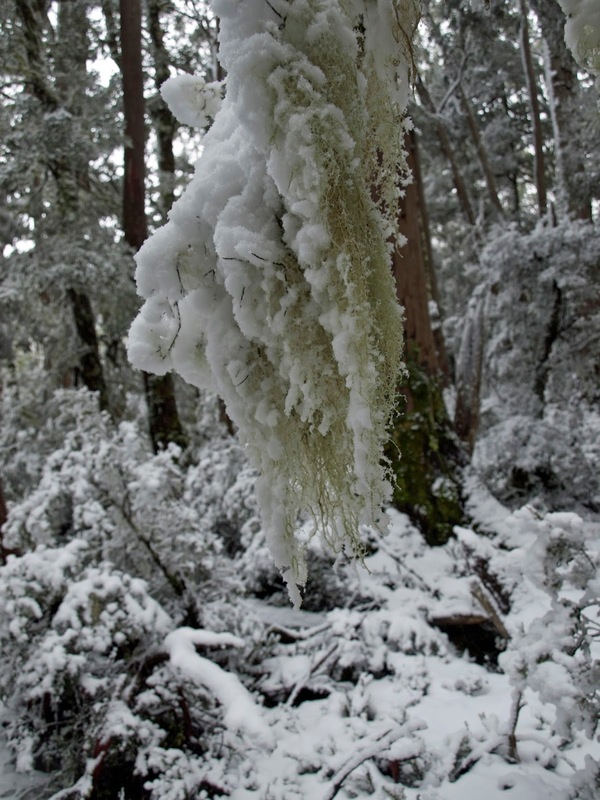 When forecasts speak of “snow in elevated suburbs” you can bet that includes Fern Tree. That year was 1980. We’d come from mainland Australia expecting our first child, and with our “fur-kid” in tow. Wuppy was a border collie/kelpie cross, a smart and lively dog, bred to round up sheep on the western plains of NSW. If we were naïve about snow, he was utterly clueless. After our first decent fall, we let him outside for a look. He stood there wide-eyed, barked, looked uncertainly back at us before bounding out into the snow. He then barked some more before repeatedly biting into the “big white thing” that had invaded his space. Gradually we have become more closely acquainted with Tasmania’s infrequent, unreliable yet delightful snowfalls. We even choose, at times, to bushwalk in it. 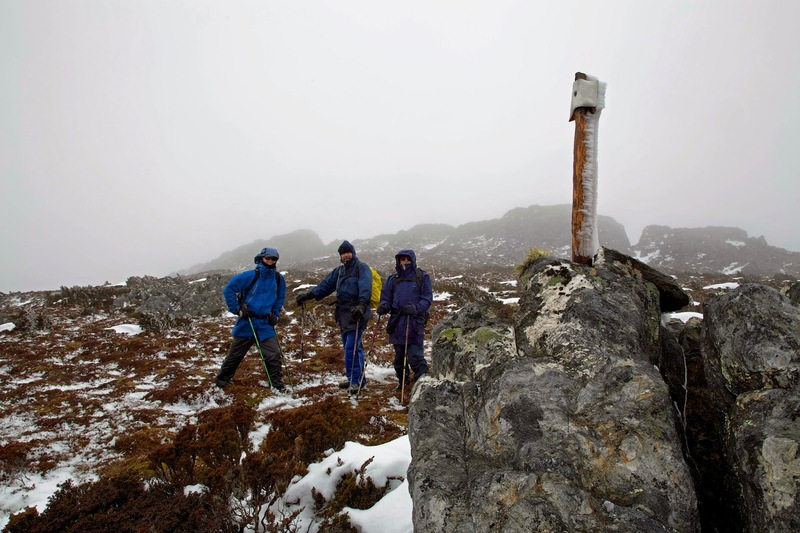 One winter a group of us heads into the high country north of Lake St Clair, despite a bushwalker’s weather alert warning of snow. We have all the right gear: good waterproofs, down jackets, tents, winter sleeping bags and plenty of food and cooking gear. We plan to sleep in a hut and are walking on a well-known track. What could possibly go wrong? The short answer is: quite a lot. 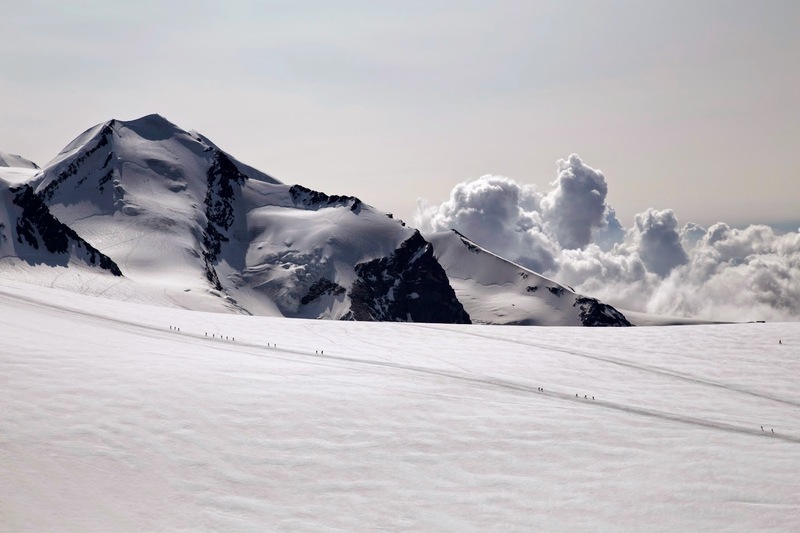 Deep snow can make your progress perilously slow; it can exhaust you; disguise the track; cause you to miss a hut. Icy conditions can easily lead to slips, falls and injury. And an immobilising injury in freezing and snowy conditions can quickly become much more serious. We’re not oblivious to all this. We mindfully, carefully walk on through a magical snowy forest. Its trees shield us from the worst of the freezing winds. The snow is of the slushy Tasmanian variety: not deep enough to delay us; not hard enough to crunch beneath our boots; just slippery, soft and endearingly squeaky. As we trudge beneath snow-laden branches, the occasional barrow load of snow plops down around us: a harmless form of Russian roulette. We play a more favourably-loaded, but far more dangerous form of that game on a snowy walk in New Zealand. As we approach a steep, sidling bit of track we see a prominent sign. With typical Kiwi candour, the sign warns us not to stop between this sign and the next. A local tells us this is an avalanche zone that's especially active in winter and early spring. He cheerfully adds that a football-sized chunk of snowy ice whizzing down that vast slope could take our heads off. This is a little worse than risking a bit of snow down our collar. Even though it’s late spring, and the snow is thin, there’s an extra zing in our steps as we cross that slope! We’re not keen to meet the hard reality of snow literally head-on.